Proteja la unidad de disco duro y transporte todos los cables necesarios en este duradero estuche. caselogic hard drive case review. I use these for a NTE smartphone and a small Samsung Galaxy tablet. The cases are very good quality and offer good protection for these devices. A pleasure to find a product as good as its advertising. Satisified with this case (VHS101). Fits our external hard drive, a Seagate Freeagent Go, perfectly. Good quality and appearance. I don't use the case for the stated product. I use it for another piece of equipment. Impressed with Case Logic's option of entering demensions and Case Logic makes suggestions for cases that would work. That way I didn't have to figure out what shape case would hold my equipment comfortably. IT IS AN EXCELLENT ADDITION TO MY OTHER CASE LOGIC PRODUCTS. IT PROTECTS & MAKES IT EASY TO CARRY. Great use for my Digital Name Tag. 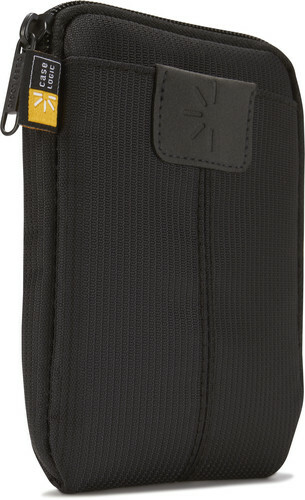 I have recommend this case to several of my friends after I saw a friend of mine had one. Great product and it holds up very well. Awesome little case. Well padded. Picked up for less than listed on the site. Well worth what I paid and would recommend to others. Since my family finally decided to get a portable hard drive to back up their computer, I bought this case to keep it protected while it wasn't being used or was being transported.The Seagate FreeAgent Go we have fits perfectly inside. The interior is a pleasant light blue color, and there is a pocket in front for storing the cord conveniently.I own several hard drive cases from Case Logic, and this one is just as top-notch as the other styles that I have. 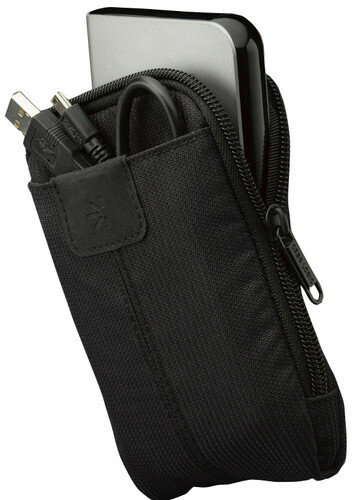 The case is great, though the outer pocket is not very roomy. But still, it's a great product and keeps the harddrive safe and secure.